I frequently use my Nanocom diagnostic tool with my Discovery 2 TD5. 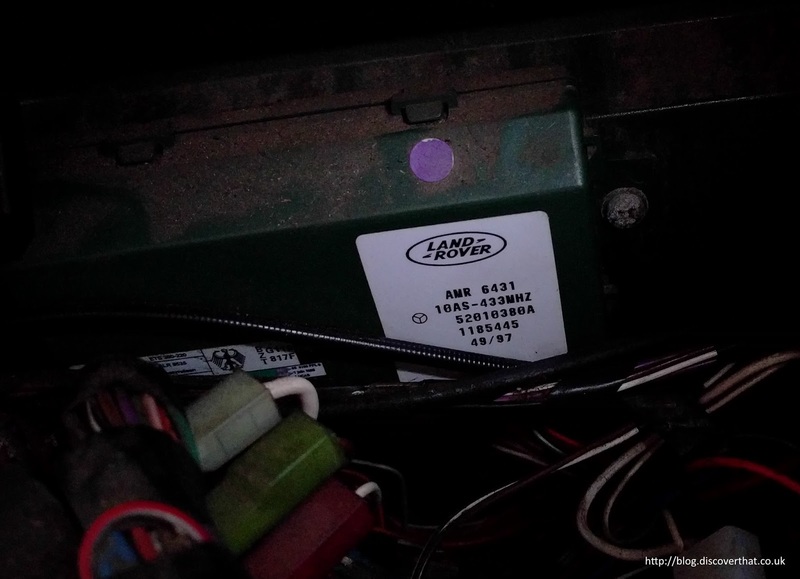 I find it invaluable however a 300TDi Defender 90 has very little electronics. In fact as far as I know it only has the Lucas 10AS alarm system. To cut to the end the Nanocom Evo does work with the Lucas 10AS in a 1998 Defender 300TDi. That's the conclusion but there was a lot of unknown before I found that out. I started this because I wanted to have the ability to programme additional key fobs and change the setting to enable the central door locking. Nanocom's web site and forums were unhelpful and inconclusive. The competitor's web site web site was clear. A HawkEye diagnostic tool could be used to access a Lucas 10AS from a 300TDi Defender but I was not about to spend hundreds of pounds on a HawkEye just for the alarm system on the Defender. Trial and error time. First job, what cabling? The diagnostic connector on the 300TDi Defender is under the centre seat towards the left hand side. I didn't recognise it, I guess because it is very bare and fairly exposed but it turns out to be exactly the same as on the TD5 Discovery 2. When I plugged in the blue end of the cable from the Nanocom it came to life despite there only being 3 wires attached to the OBD connector. Each feature on the Nanocom needs an unlock code. Next step was the risk, I had to buy the unlock code for the Defender sub-systems. Luckily this is a lower cost than for a full car. Some diagnostic tools charge per specific vehicles VIN, the Nanocom does not. Nanocom charge for the features of a vehicle but can be used for any vehicle of the type. So my Nanocom is now unlocked for any Discovery TD5 and for any Defender Lucas 10AS alarm system and Defender ABS. I upgraded the firmware to the latest version just to give me the best chance of it working. 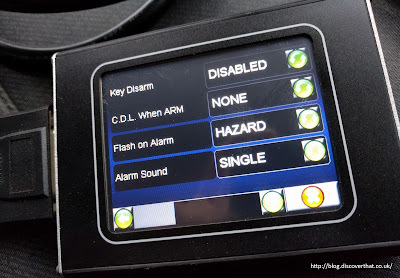 I plugged the Nanocom in to the car and I could read the settings from the Defender alarm. Already I have a worthwhile bit of information, the EKA code. It appears I can change the settings and add new key fobs although at this moment in time I have not tried that out yet. That,s just the answer i,ve been looking for !